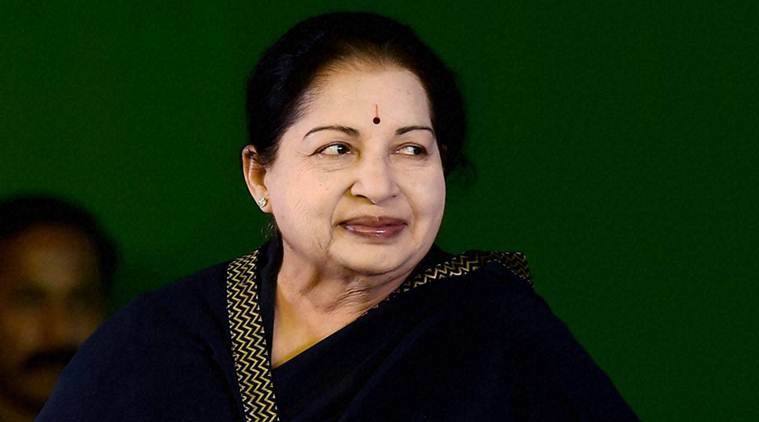 Tamil Nadu’s Chief Minister Jayaram Jayalalithaa passed away after staying in the hospital for almost 73 days. Throughout her career, she survived many allegations and controversies along with a stint in jail. He first entered politics through her mentor, MG Ramachandran. She was a 5-time CM and was known for her pro-poor schemes. After the death of AIADMK leader and Chief Minister of Tamil Naud, J Jayalalithaa, O Panneerselvan has been sworn in as the Chief Minister. He is now the 19th CM of Tamil Nadu. Jual Oram, the Union Minister for Tribal Affairs launched the ‘Stanpan Suraksha’ mobile app to promote breastfeeding. The app has been developed by the Breastfeeding Promotion Network of India. The Income tax Department has revised upwards income disclosed under IDS to 67 thousand 382 crore from 65 thousand 250 crore. The government will get around Rs.30,000 crores in direct tax revenue through this. MMTC, short for Metals and Minerals Trading Corporation of India, a public sector company will be collaborating with State Bank of India to sell government minted ‘Indian Gold Coin’. This is India’s first sovereign gold offering and the only one hallmarked by Bureau of Indian standards for purity. MMTC is one of the two highest earners of foreign exchange for India and India’s largest public sector trading body. The Ministry of Finance has made it compulsory for all government departments to make payments above Rs. 5,000 through e-Payment system and not cash to enable complete digitization of payments. Mahaparinirwan Diwas was celebrated in India on 6th December. It is the death anniversary of Dr. Ambedkar who died in 1956. He was popularly known as Babasaheb and was the key architect of the indian constitution. Prime Minister Narendra Modi inaugurated the 12th International Oil and Gas Conference, PETROTECH in New Delhi. The theme for the conference is Hydrocarbons to fuel the future- Choice and Challenges. Venezuela has been suspended from the South American nations’ trade bloc called Mercosur for violating the bloc’s democratic principles. Mercosur’s other full members are Argentina, Brazil, Paraguay and Uruguay with its headquarters in Montevideo. It was established by the Treaty of Asuncion in arch 26, 1991. Francois Hollande, President of France named Bernard Cazneuve as the interim Prime Minister till the general election to be held next May. This was done after Manuel Valls resigned as Prime Minister in pursuance to become the next president. The Parliament of Israel has given preliminary approval to a bill that would legalise thousands of homes built in the occupied West Bank. It has been criticized by Palestinians for grabbing land. The bill will need to pass three readings in Parliament to become law. Russia and China, two of the P5 nations vetoed a draft resolution presented in United Nations Security Council that called for a seven days ceasefire in Syrian city of Aleppo. P5 nations are permanent members of the Security Council and also include the countries USA, UK and France. Islamic Development Bank situated in Saudi Arabia has agreed to provide a loan of USD 500 million to partially finance the USD 15 billion TAPI natural gas pipeline project. TAPI stands for Turkmenistan-Afghanistan-Pakistan-India project. This pipeline will transport gas from the Galkynysh fields in Turkmenistan to Fazilka in India. The French Grand Prix is being restarted after a period of 10 years in 2018. The Circuit used will be the Paul Ricard or Le Castellet in Southern France. The last French Grand Prix was held at Magny-Cours in Central France in 2008. Sculptor Helen Marten has been awarded the Turner Prize 2016 for contemporary art. The World Soil Day is observed on 5th December annually after being declared by the UN General Assembly in its 68th session on 20th Dec, 2013. This is for raising awareness of the importance of soils in the environment. 1. What is the full form of MMTC? 2. Which bank is providing a USD 500 million loan for the TAPI Project? 3. In which year was the French Grand Prix last held? 4. Which date is World Soil Day observed on? 5. Who was J Jayalalithaa’s mentor? 6. Who is France’s interim Prime Minister? 7. Which city is hosting the PETROTECH conference? 8. What is the name given to the Israeli Parliament? (Yes, it isn't mentioned above). 9. Mahaparinirwan Diwas marks the death anniversary of which eminent personality in India? 11. Who was awarded the Turner Prize 2016?